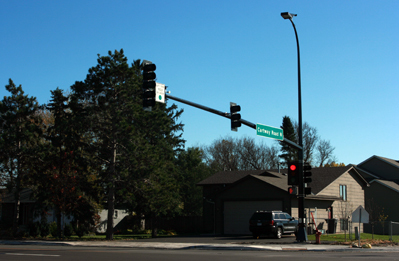 You drive up to the stoplight at Hayden Lake Road east and 169 in the left-hand-through lane. There are three cars behind you waiting for the light to turn green as well. Just before the light changes, a Dodge ram truck pulls up next to you in the right-hand lane. You and the ram cross 169 on the green light. 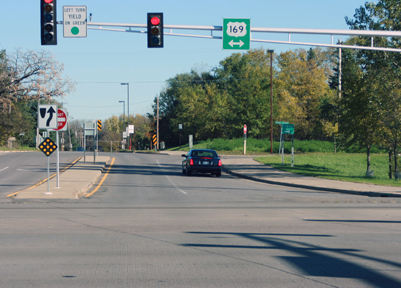 What happens next is a question: Is the Ram turning right on Business Park Boulevard toward Target, or does it think it can squeeze in front of you and the three cars behind? Currently, there is no pavement marking or sign indicating the lane is a right-hand-turn only, and as a result, some use the lane in hopes of speeding past those in the left-hand lane. This is scheduled to be completed in the next two-to-three weeks. O’Reilly Auto Parts was approved last week to obtain a conditional use permit to operate an 8,200-square -foot auto parts store in Champlin Plaza, between True Value and Yummy Buffet. O’Reilly Auto Parts is an auto parts retailer that began in 1957 and currently has 1,700 locations nationwide. In 2005, O’Reilly purchased Midwest Automotive Distributors, Inc., adding 71 retail locations in Minnesota, Montana, North Dakota, South Dakota, Wisconsin, and Wyoming and has a distribution center located in St. Paul. Road construction at Hayden Lake Road and Cartway Road is nearer to completion. The signal lights are on, and so are the cameras. Cameras? 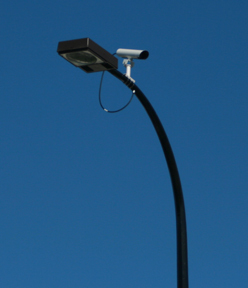 No, it’s not Big Brother watching you run that stoplight! The camera located on top of the signal poles at Cartway/Hayden Lake Road are for vehicle detection said Ben Dzioba, engineer for WSB & Associates, Inc. “When a car pulls up to the intersection, the camera detects the presence of the vehicle and tells the signal to switch from one direction to another.” Dzioba says the cameras are not pointed at the car, but instead toward the pavement, and no information is recorded. For more information, e-mail Dzioba at bdzioba@wsbeng.com or call 763-512-5249.